The http://www.theautomaticearth.com website publishes a very interesting article on what is happening in the country about the memorandums, the economic situation and how we got here. A short article in the Greek paper Kathimerini last week detailed the latest new cuts in pensions the Troika has imposed on Greece, and it’s now getting beyond absurd. For an economy to function, you need people spending money. That is what keeps jobs alive, jobs which pay people the money they need to spend on their basic necessities. If you don’t do at least that, there’ll be ever fewer jobs, and/or ever less money to spend. It’s a vicious cycle. 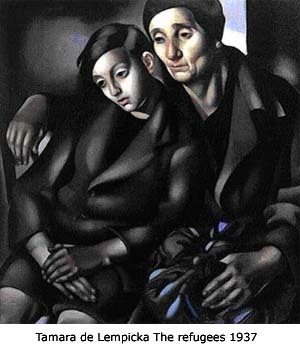 This situation, as also mentioned often before, means that entire families must live off the pension a grandmother or grandfather gets. As of next year, such a pension will be cut to net €480. Of which most will go to rent. And the cuts are not finished. There are plenty neighbourhoods in Athens where there are more boarded-up shops then there are open ones. It is fiscal water boarding, it is strangulation of an entire society, and there is no valid economic reason for it, nor is there a justification. This is some story. It’s being denied in what just about amounts to a full blast PR campaign by many of those involved on the Troika side. Their narrative is: how dare the Greeks attack, and drag into court, their own unblemished ex-IMF statistician (who’s not even a statistician)? Whereas the actual question should be: how dare the Troika et al attack the Greek judicial system? I wanted to take bits and pieces out of this, shorten it etc., but it’s just too good. Sorry, Michael, sorry Mint Press! It reads like a crime novel. And you can never again say you didn’t know. 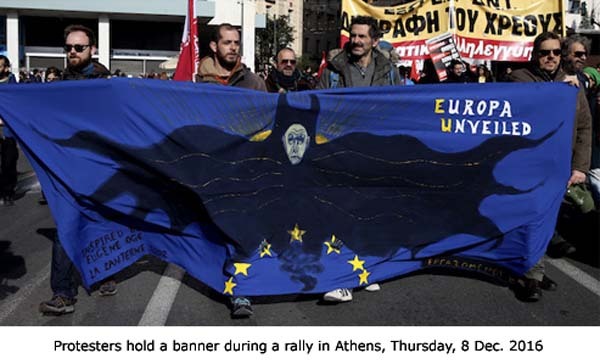 We can only hope that the Greek court system will hold Europe to task. NL: First of all, Georgiou’s first moves were to remove from the other members of the board any ability and initiative to propose discussion topics or to be involved in the calculation of the deficit or the debt. They were forbidden even to communicate with the remaining staff of ELSTAT! 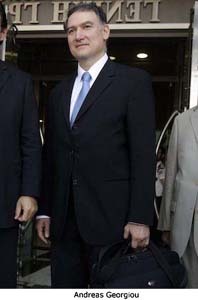 This behaviour of Georgiou was not only due to his inability to act as a manager but also due to the fact that he understood from the very beginning, even from the second meeting of the board in September 2010, our refusal to adopt the deficit and debt calculation procedures he wanted to follow. He knew that eventually, the majority of the board members would not approve his deficit figures to be officially published before the end of October 2010. My first disagreement with him was when I realized he would add to the deficit figures and to the national debt of Greece the Simitis swaps — that is, the swaps that former Greek prime minister Costas Simitis had made use of in 2001 in order for Greece to get accepted to the Eurozone. Allow me to briefly explain what these swaps are, as they indicate clearly an activity typical of the statistical mishandlings that had always been used and are still taking place in our country, every time the government’s leaders want to achieve something with communication or financial benefits for themselves or for third parties. Swaps are a type of a bond, a banking derivative or simply a stock exchange bet, a currency exchange bet. Many countries do it, even now they are doing it, converting their existing debt into currencies of other countries, say in Swiss francs or Japanese yen, betting that the value of that currency will rise and at the maturity of this debt, the owner will gain from the difference in the value of currencies. MPN: Dominique Strauss-Kahn himself, the former president of the International Monetary Fund, has gone on the record as saying that he met with George Papandreou to discuss an IMF “bailout” of Greece in April 2009. This was several months before Papandreou was elected as prime minister and at a time when Papandreou was saying, while campaigning, that plenty of money existed to fund the social programs he was promising to Greek voters. 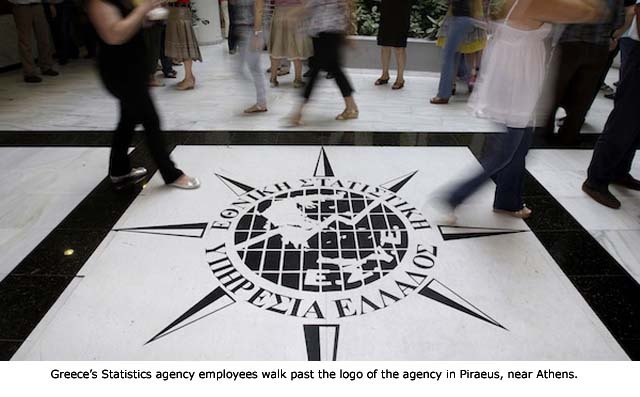 Do you believe that the economic “crisis” in Greece was pre-ordained or pre-planned? NL: Yes, I do. In my opinion, joining these medieval memorandums, which have brought about this economic crisis that Greece is still experiencing, was beyond any doubt pre-planned and predetermined. 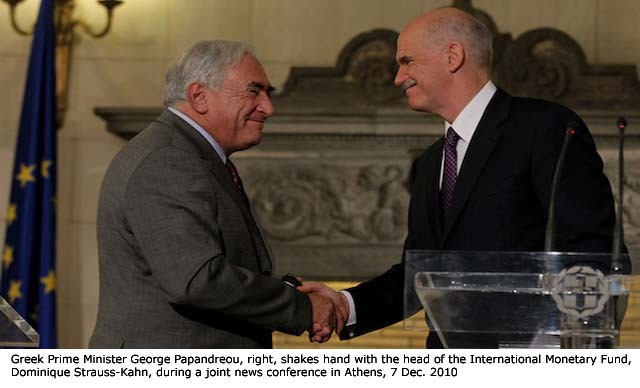 This arises not only from Strauss-Kahn’s own admission that the IMF had been preparing every detail of this with Papandreou, it also arises for other reasons that subsequently became known — that Greece was chosen by the designers of the European Union to become the guinea pig for the implementation of harsh austerity and other forms of economic punishment, set up for all as an example to be avoided, in the context of a new EU economic policy for handling the member countries with fiscal problems. In order to achieve all of this, of course, they had to plant the appropriate person in ELSTAT at a time when certain statistical adjustments were required, in order to support their treacherous plan. Where did this lead eventually? To the bankruptcy of the Greek state! I presume that he’s engaged at this time in preparing his defence, through statements via his lawyers in Greece, while he remains absent, missing from every trial that has taken place regarding him. MPN: Following the guilty verdicts against Georgiou this past spring, a barrage of positive coverage and PR in favor of Georgiou appeared in the Greek and international media — including Bloomberg, the Washington Post and Politico. We also heard numerous statements of support from major political figures in Greece, the European Union, and elsewhere. These statements criticized the supposed lack of independence of the Greek justice system in the verdicts against Georgiou. How would you describe or characterize Georgiou’s network of support within and outside of Greece, and these arguments made in his favour? The final myth that I want to mention is that his proponents are saying Georgiou applied all proper European regulations. On the contrary, most European regulations and Eurostat’s own criteria for the deficit and debt calculations were violated by Georgiou and his advisers from Eurostat, in order to justify the unjustifiable integration of deficits of many public utilities into the 2009 deficit — a decision that would require a thorough study of several months for each public utility. You can’t just decide to include the deficit of a utility in the public debt; you need a thorough study, for several months, six months. So what kind of European regulations did Georgiou actually apply, I wonder? …… No one knows.